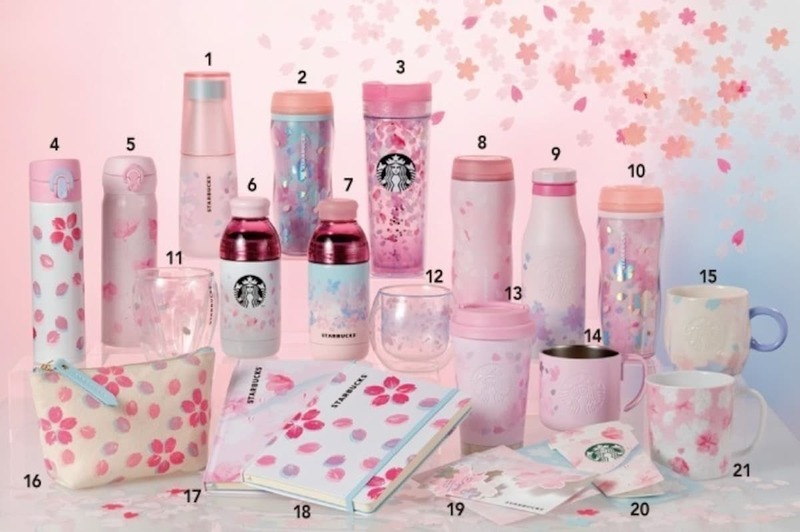 Now that Starbucks has revealed their Japan-exclusive sakura drinks for this year’s cherry blossom season, the global coffeehouse chain is giving us a sneak peek at their limited-edition range of seasonal drinkware as well. The sakura drinkware range for 2019 comes in two collections, with the first one based around a “cold” theme, given it will become available just before the buds open in spring. With 21 items in the first range, this is one of their biggest releases to date, and this year they’re offering goods that aren’t in the drinkware category as well. Let's take a look at the complete list! As always, these items are only available in limited quantities and are so sought after they often sell out as soon as they hit the shelves. If you miss the items in the first collection, though, you’ll have another chance to stock your cupboards with cherry blossom tumblers when the “Sunlight” collection hits stores. While we get to enjoy sakura-themed Starbucks tumblers, cups, glasses and travel mugs every cherry blossom season, this is the first time we’ve seen blankets and journals in the collection. The first series will be on sale from February 15, 2019, while the second collection will be on sale from February 25, 2019, until stocks sell out.